Six Nations 2018: Which player are you? Would you rather be a forward or back? What is one of your major strengths on the field? Hire out a restaurant in a beautiful vineyard. You've scored an 80th-minute winner. How do you celebrate? With a look of bemusement. How did that happen? You have a day off. Do you? Do weights. Let's get pumped! You need to get the boys pumped before the big match and you're in charge of the dressing-room tunes. What do you put on? 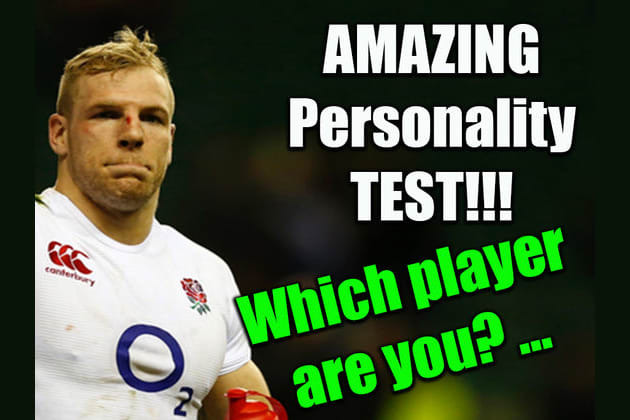 Have you ever wondered which Six Nations star you're most like? Take this short quiz to find out!